NEW YORK (AP) — Caitlyn Jenner is appearing on the cover of "Sports Illustrated" wearing her gold medal 40 years after her 1976 decathlon Olympic win. Jenner told the magazine she had a complicated relationship with the medal and had kept it in drawers and in a safe, but never on display. 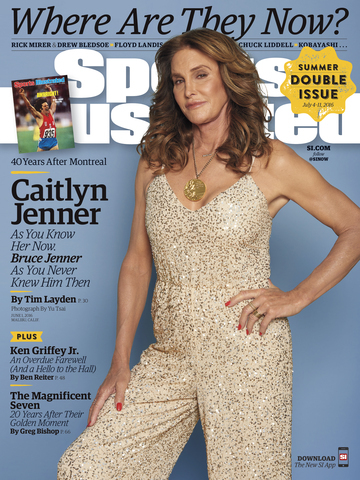 Jenner, at the time Bruce Jenner, was featured on the SI cover in the Aug. 9, 1976, issue after winning gold. In her new interview, she said her masculine body at the time disgusted her, but that being macho was the way she tried to convince herself that she wasn't really a woman. The special "Where are They Now" double issue featuring Jenner will hit newsstands Wednesday.